Nearly two weeks into this year's submission window, here's a little reminder of some of V. Press's titles so far! 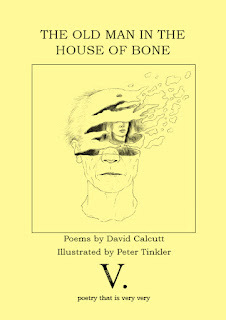 Enjoy extracts from some of V. Press's existing titles, a little graphic fun with our logo and details of our submissions window. 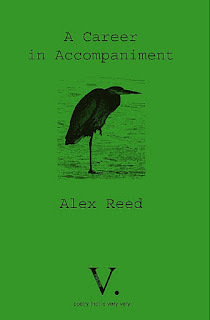 V. Press poet Alex Reed is a carer for his partner with M.S. To mark Carers Week 2016, he reflects on some of the complex emotions involved in caring for a loved one who is no longer the person they were because of long-term illness. An uncertainty and lack of clarity inherent to situations of ambiguous loss can further complicate processes of grief. Many carers will experience this kind of complex grief reaction when taking care of a loved one who seems no longer to be the person they were because of illness. Caring can be stressful in multiple ways – physically, economically, and so on. One of the things that the field of family therapy teaches us is that illness is traumatizing both for the person who is ill and those who are close to him or her - it is relationally traumatizing. For many carers, the complex emotional process of ambiguous loss will inter-twine with multiple physical, vocational and economic pressures to further amplify the experience of stress. Long-term illness evokes a sense of being haunted for the carer, and also, I imagine, for the person who is ill. We are haunted by what’s lost, and also by what might have been – the trips away, holidays, walks, particular kinds of physical intimacy… At the risk of unbearable pretentiousness, I would say it brings to mind Derrida’s evocative term ‘hauntology’ - a condition of being haunted by that which never happened. More information and a sample poem from A Career in Accompaniment can be found here. Boss also uses the term to describe those situations where the person is physically absent but remains psychologically present because it is unknown what has become of them, such as the dreadful situation faced by the parents of Madeleine McCann. For Carers Week - Permission to Speak? 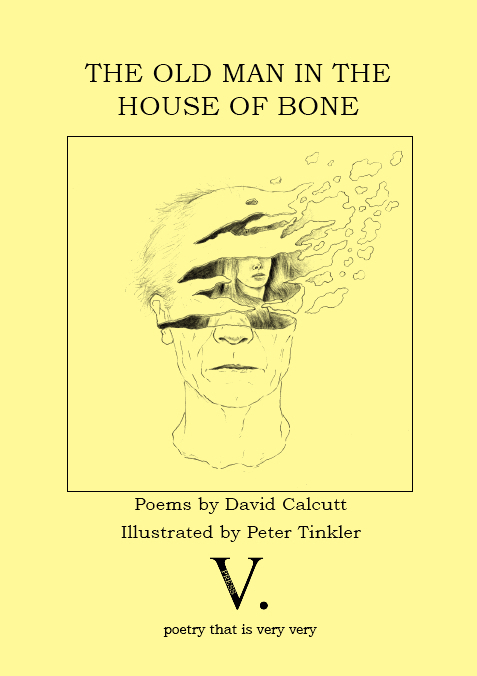 In a second post to mark Carers Week 2016, V. Press poet and carer Alex Reed asks himself some hard questions as he explores some of the risks at the heart of life writing and literary precedents for tackling these. ‘Every word I write is autobiography. The term ‘confessional poetry’ has surely exceeded its shelf life in this postmodern (or post-postmodern?) time when distinctions between ‘real life’ and fiction have become blurred. At the same time, life writing in which the subject matter draws directly on the life experience of the writer remains potentially complex ethically. For instance, Velleman considers how life writing that deals with repressed or denied areas of family history may be impositional for those who had chosen not to speak of these matters, and furthermore didn’t give consent for publication. In writing about ourselves we reveal something of the lives of others. Because my poetry pamphlet A Career in Accompaniment draws on my experiences as a carer, it inevitably draws on intimate and sometimes painful events that also occurred in my partner’s life, and often in a more fundamental way for her, since she is the one who is ill. Questions are raised about the motivations for including such personal experience, and what might be achieved by doing so? Blake Morrison explores the various motives for such life writing. He convincingly argues that the idea that it arises through a spontaneous overflow of feelings – ‘it just came out of me’ - doesn’t accord with the actual process of writing. My own experience is that the impulse to write about powerful experiences and emotions is often countered by an even more powerful, censoring anxiety about doing so. Writing about yourself becomes a means of taking ownership of your life. In thinking about my own motivations as a poet drawing upon family experiences of illness and caring, this seems important. After all, labeling erases the specifics of who we are – a person becomes ‘a cancer patient’, ‘a schizophrenic’ and so on. And what else is ‘carer’ but another, albeit more benign, form of labeling. What is removed from the intimacies of a relationship when lovers become re-defined as the ‘ill one’ and his / her ‘carer’? Morrison also discusses life writing as ‘truth telling’- a bearing witness and a testimony. This has been important for me, and part of the uneasiness around writing about the impact of illness and disability relates to the fact that we live in a culture where such things are not generally spoken about - a culture where, for instance, the word ‘invalid’ remains in common currency without provoking shock or outrage. 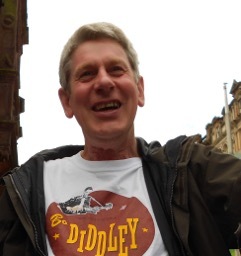 Growing up in the North East of England in the sixties and seventies, disability was a source of shame and stigma. OK, the world has changed a lot since then, but remnants of that old bigotry linger on. Consider how easily the Coalition and subsequent Conservative governments were able to promote the stereotype of the disabled as work-shy scroungers to justify their agenda of slashing essential benefits. Counter-stories need to be told. Cited in an article by E. Young in the Guardian, 1995. Velleman, J.D. (2015) The Rights to a Life. In Z. Leader (ed.) On Life Writing. O.U.P. Morrison, B. (2015) The Contemporary Confessional Memoir. In Z. Leader (ed.) On Life Writing. O.U.P. Today is the start of Carers UK’s Carers Week – aimed at raising awareness of caring, highlighting the challenges that carers face and recognising the contribution that carers make to families and communities. Alex, could you say a little about your role as a carer and how this features in your poems? I started writing poetry a few years back. I’m aware that the idea of ‘writing as therapy’ is contentious, but for me, it’s become a way of exploring and bearing witness to some of the things that are going on in my life. I’m trained as a family therapist and so I guess its inevitable that I would think of the practice of writing in this way. That’s not to say that I think writing necessarily ‘helps’ in the sense of making things easier – but it does help me to feel I’m attending to what’s happening on in my life and living it more fully, as well as trying to create something that may have value to others. In my pamphlet A Career in Accompaniment I write about my experience of living with a loved one who has long-term illness, and of being a carer. My partner Jan was diagnosed with multiple sclerosis (M.S.) more than fifteen years ago. M.S. is a fairly common illness, but impacts on people very differently. So if someone is reading this and has recently been diagnosed, or has a loved one with M.S., its important to say that the progression of the illness is very variable. Jan has been unlucky – M.S. hit her hard. And, as yet, there are fewer treatments available for the type that she has. In the early days we thought she might get off fairly lightly, but her disability became increasingly severe, a situation she’s managed with wisdom and skill. Jan had to give up her career as an academic, and I also retired from work earlier than I otherwise might have done to care for her. Illness and disability can have huge financial consequences as well as placing many other restrictions on people’s lives. we would escape without damage. What has been your hardest experience as a carer? In some respects, we have been fortunate. Our own material circumstances are OK, and although M.S. has impacted on family life, it hasn’t prevented us raising our wonderful children or split us apart as a couple. We also have a big network of friends, which has been crucial. The major stresses, from my point of view, are to do with living an increasingly constricted lifestyle. Our local services are good and staffed by great people, but without wishing to sound ungrateful, it often feels like a drop in the ocean. Looking after someone 24 /7 is hard graft, and there’s not many opportunities to take a break. So, I’m in house a lot, and rarely get out to see friends, go to a reading or a gig, watch a film at the cinema, or whatever. There’s a lot of loss involved, and this is largely what my pamphlet is about; about feeling haunted by the things Jan and I used to do and can’t now, or who we might have been, the things we wanted to do - generally quite ordinary things, that most people take for granted. the world lit in her eyes. Which was the most emotional poem for you to write in ‘A Career in Accompaniment’ and how did you deal with that emotion? The one that springs to mind is ‘As close as I could’. I actually wrote that poem at a point when I hadn’t been writing poetry all that long, and it just seemed to ‘arrive’ in a moment where I was feeling quite overwhelmed by sadness and by my inability to respond adequately to the predicament we were faced with. As a poem it’s very simple, but I had no wish to revise it much afterwards. It seemed to speak a truth about that particular moment, and my hope is that it would be recognized as such by others who have been inside similar situations. I’m not sure how to respond to the second part of your question, but I’d say the act of writing is valuable in giving voice to something that wouldn’t otherwise be spoken about. This gives rise to another dilemma though – do you show what you’ve written to others, and what does it mean for something so intensely personal to become more public? Could you say something about how balancing real life fact / emotion and crafting of language and details to create the best poem works for you as a writer? Anyone who writes will know that after getting the initial idea / experience down on paper there’s generally an arduous process of standing back and crafting the material into a poem. So the actual experience or feeling that was initially in your mind might become, or better to say will inevitably become, transformed through the writing and re-writing process. When I’ve showed some of the poems to Jan she’s said, ‘I don’t remember it like that!’ Interestingly, one of these was ‘Fall’, which I thought I’d written pretty much as it happened! It’s like the Buddhist story about the blindfolded men and the elephant – each one thinks they are encountering something different. In the later stages of revision I try to keep in mind the question, ‘is this honest?’ So, for example, the prose poem ‘Things Illness Stole’ reads like a fairly straightforward account of a night out, but it’s actually a bit of a composite of different memories. But I feel it’s emotionally true to who we were and what we’ve lost through illness. Are there any experiences you couldn’t, or wouldn’t want to, put into poetry? There are many experiences to do with caring, illness and disability that feel too overwhelming, or just too personal, to write about. Perhaps with time and distance, I might be able to, but not now. Some aspects are so stark that I feel I couldn’t write about them well enough. It’s interesting, because when I have put the poems ‘out there’ for others to read I’ve been worried that they will feel I’ve said too much about matters that should remain private. That there is something distasteful or disloyal to Jan and our relationship to publish them. But I think anyone that’s lived with this level of illness - and that’s most of us sooner or later, of course - will know that there’s much, much more that could be said about the pain and stress of the experience. On the flip side, it could also be argued that the poems in the pamphlet don’t touch on happy times enough - the joy in our relationship with one another and with our family and friends - that illness isn’t the whole story. Reading ‘A Career in Accompaniment’, I get the feeling that this is not just about the experiences of yourself as a carer but also about giving something back to the one being cared for, in this case, your wife, Jan? Yes, I’m pleased that you asked that. The poems are, essentially, love poems. I also wanted to create a pamphlet that would have meaning for other carers. That’s a strong ethical dimension for me. There was a guy doing some work in our house recently and he was telling me about his wife who was ill, and how he might have to stop working, but that he loved his job. I thought, ‘I know how this feels, mate – to be struggling to continue getting to work, but at the same time to be worrying about your partner at home, and to be fearful about what it will mean if you need to stop working - financially, emotionally, socially, and so on. Now, I’ve no idea if that guy reads poetry, but I’d like to think that if he did see my pamphlet, that he’d feel I’d put something down that reflected his experience. asks what I’m doing with the day. he has been here. That he remembers. Many, many people, old and very young, men and women, (though most often women, of course), are caring for loved ones and it’s not often spoken about in this culture. Or, when it is spoken about, it’s generally a lot of hypocritical platitudes from politicians and big organisations. Thank you, Alex, for sharing your experiences of caring, the ‘behind the scenes’ insight into the writing process and the poems themselves. To mark the launch of this year's submissions window, we've put together a little V. Press taster video!